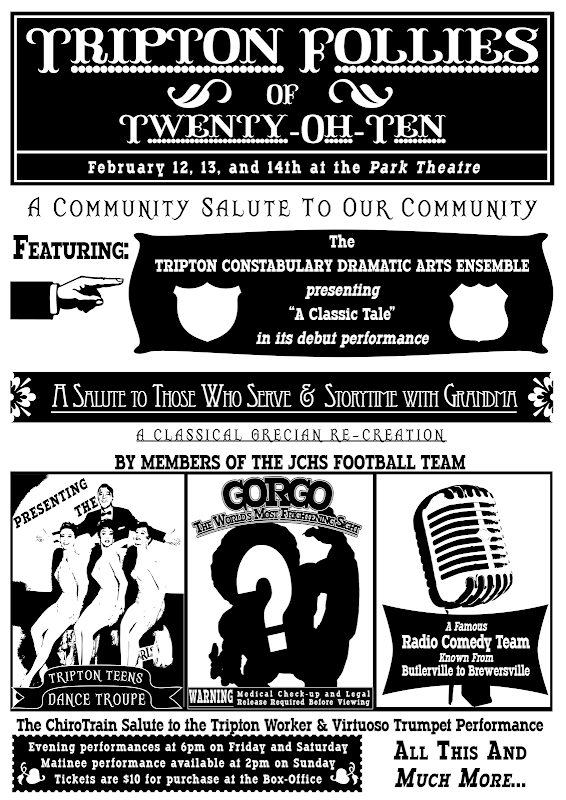 The Jennings County Players are putting together a variety show so I leapt at the chance to design the poster. The goal was to make an old-timey vaudeville-ish poster to go with the show’s unique premise. Naturally that means to over-design it to the limit and to shift fonts whenever it feels good. This is the first draft of the poster and I’m very proud of it. I’m hoping that a few people will get a chuckle out of the poster before they even see the show.